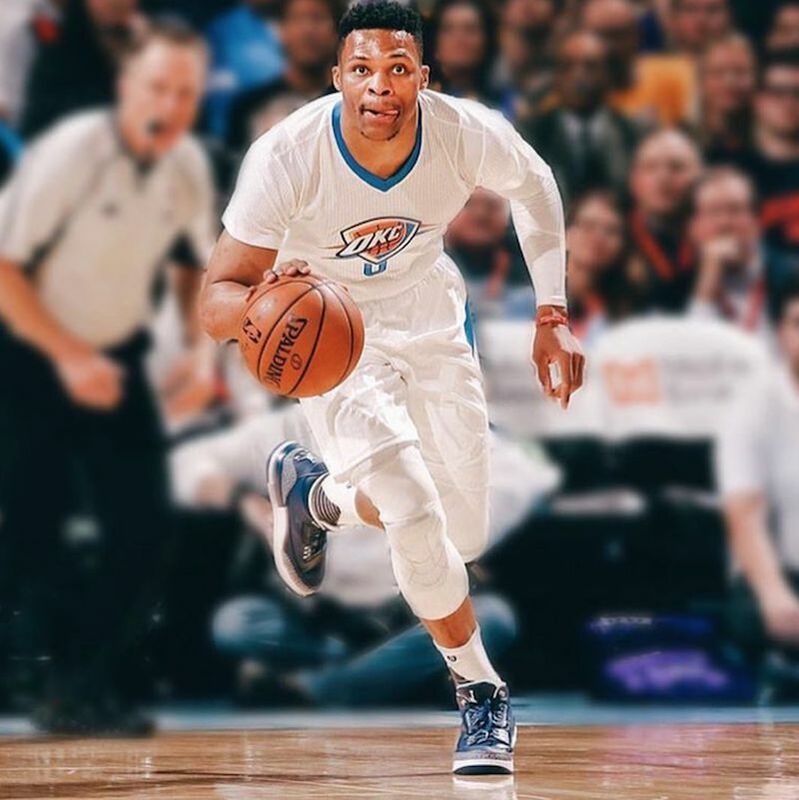 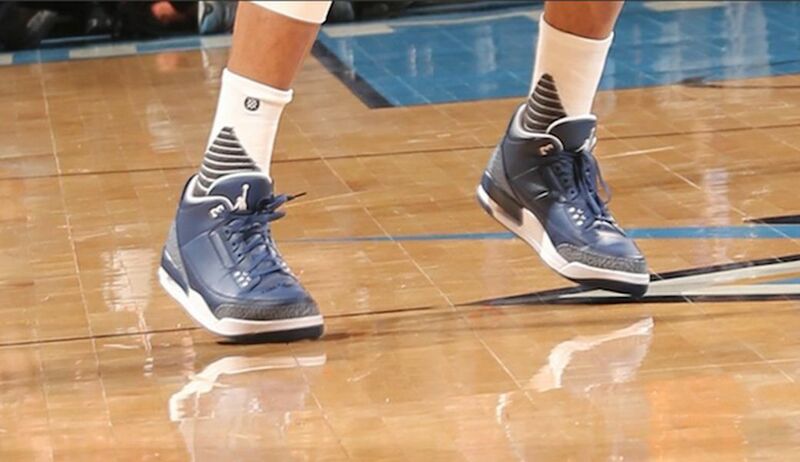 Jordan Brand athlete Russell Westbrook wore a special Air Jordan 3 featuring a Navy and White colorway last night. 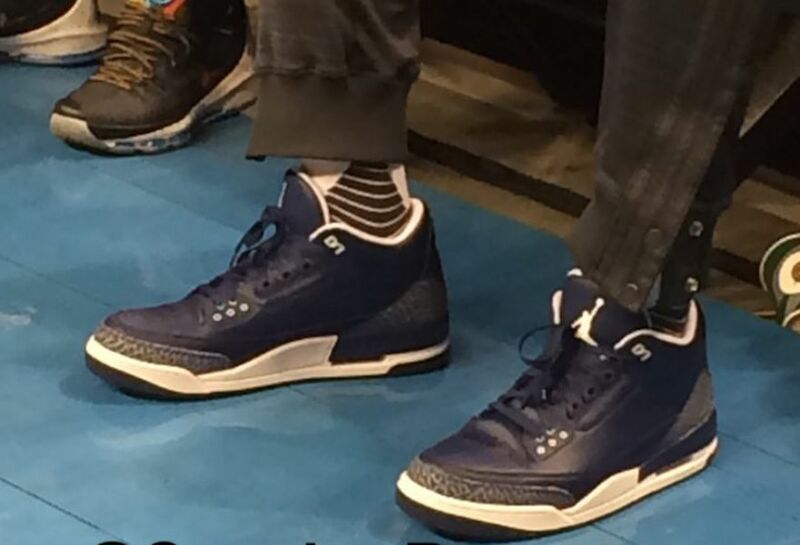 The Air Jordan 3 featured a full on Navy Upper with hits of grey cement print on the toe cap and heel. 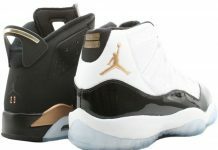 White accents hit the midsole, liners and Jumpman making this a fire combination. 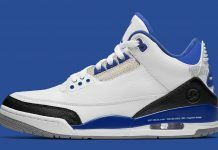 No word if this Air Jordan 3 is going to release but stay tuned with Modern Notoriety for more information on the Air Jordan 3 “Navy”. 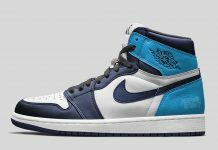 They are really colorblocking these horribly.